We all have heard the old sales adage: “People buy from people they like.” When you have a strong relationship with a buyer, you tend to have more influence with that buyer. That means the buyer respects your experience and advice, they're more likely to value your contribution to the decision process, and there is a greater chance of such buyer becoming a “long-term” customer. 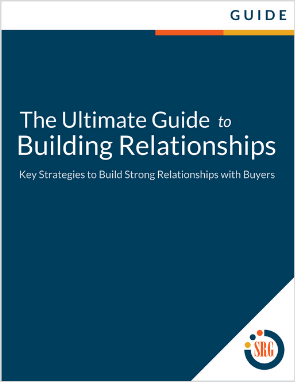 This complimentary guide covers key strategies to build strong relationships with Buyers. David Jacoby is a Managing Director at Sales Readiness Group. He helps large B2B sales organizations improve sales performance. Previously, David was a Principal at Linear Partners, a sales consulting firm providing sales strategy, sales operations, talent management, and interim management services to emerging growth companies.